Cobra™ PROe is ideal for breaking, asphalt cutting and post driving. With 60 Joules at the tool tip it can break silica rich rocks and reinforced concrete. The new Cobra™ PROe is even better with more power, less noise and in two sizes. And its low vibration values will make you truly efficient. 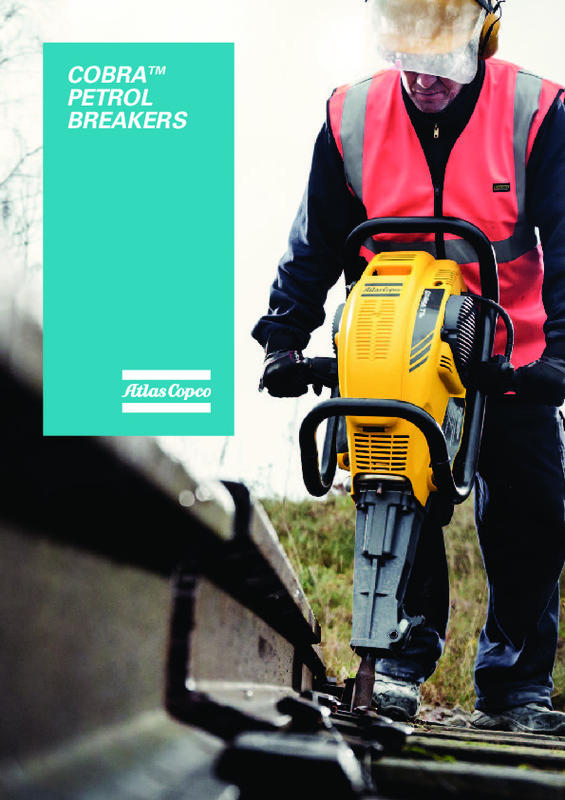 Download the Atlas Copco Cobra petrol breakers brochure, including specifications. All Atlas Copco petrol breakers come with a 12 month warranty! Do you need spare parts or accessories for Cobra™ Petrol Breakers?